Farm to Summer initiatives help bring local agriculture to meals in the Summer Food Service Program (SFSP) and Seamless Summer Option (SSO). 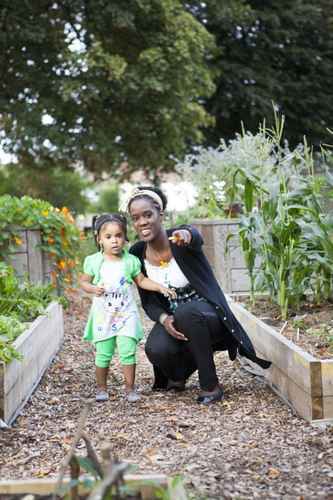 Participating SFSP and SSO sites connect children with agriculture by purchasing local foods and offering activities such as garden-based learning, enrichment activities focused on nutrition or agriculture, or trips to a farm or farmers market. Farm to Summer activities enable SFSP and SSO program operators to enhance the quality of their programs. Fruits and vegetables are served at their peak growing and harvesting season. Children taste fruits and vegetables that may not be available during the school year. Farmers and ranchers find new markets for products. Community members become engaged in agriculture-based activities. Consistent, year-round farm to school programming increases enjoyment of school gardens. Summer meal sites can introduce farm to site activities by using locally sourced ingredients in meals and snacks, creating garden-based learning environments, including nutrition education in enrichment activities, and connecting children with local farmers and ranchers. Together, all these benefits of Farm to Summer activities establish lifelong healthy habits for children while building strong communities and enhancing local economies. This document provides an overview of the Summer Food Service Program, a list of benefits of farm to summer activities and ideas for engaging kids throughout the summer months. Texas is ripe with fresh produce during summer months. Learn how to take advantage of the timing and serve fresh fruits, vegetables and other Texas agriculture products in summer meal programs. Bring the farm to your summer site to boost meal appeal and encourage increased participation.